A Labour MP has called on the government to pressure the online fundraising platform JustGiving into donating the £500,000 it received in fees last year from fundraising campaigns for the victims of terror attacks and the Grenfell fire. 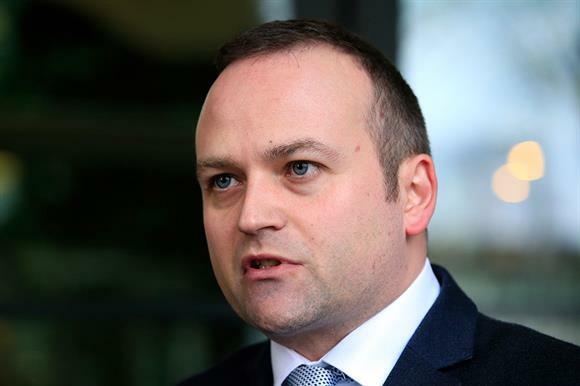 In a letter to Tracey Crouch, the Minister for Civil Society, Neil Coyle, the MP for Bermondsey and Old Southwark, said the money had been "picked from the pockets of terrorism victims". He said the fees should be passed on to the causes donors had been supporting. JustGiving charges a 5 per cent fee on donations and Gift Aid made through its platform, as well as administration costs, although it introduced a facility in April this year to enable donors to cover the costs of the platform’s fees when making donations. In the letter that has also been sent to Jerry Needel, president of JustGiving owner Blackbaud, Coyle said that of the £500,000 he claimed the platform made as a result of the attacks in London and Manchester and the Grenfell fire last year, £17,000 had been taken as fees on donations for the London Bridge attack, which took place in his constituency. Coyle told Third Sector he believed JustGiving should set a cap on how much money it could receive in fees as a result of terror attacks and one-off disasters and should then ensure all further donations were made without charges. But he said it was not for him to decide what that cap should be. "I recognise that JustGiving has helped to facilitate a greater volume of donations to good causes in the UK – I’ve used it myself," he told Third Sector. "My criticism is that instead of having a sensible cap on the profit margin – once it reaches, say, £10,000 or whatever – it has scooped £500,000, and I think that is picking the pockets of terrorism victims." He rejected the idea that the company needed to charge the fee in order to cover the cost of raising money in the face of increased demand after terror attacks. "You’re talking about three additional pages, one for each of those incidents – there were perhaps a few more than that," he said. More than 400 individual pages were launched in response to the Manchester attack alone last year, according to JustGiving. After the attacks last year, when numerous members of the public set up fundraising pages, fuelling fears of fraud, talks have continued to create a framework to act as a domestic equivalent of the Disasters Emergency Committee. In his letter, which he tweeted this morning, Coyle said his understanding was that fundraising platforms involved in the talks, including JustGiving, had agreed not to take a profit from money donated through the new framework. "They have signed up to not taking a profit to be part of that, so why is it that they can agree not to make a profit from future terror attacks but think it’s OK to cream £500,000 off the events of last year?" he said. "There’s no logic to that argument. I find it so distasteful and unpleasant. That half a million quid could have gone a long way to helping the people who were affected." He said the company had had long enough since last year "to act reasonably" and give up the fees, but had kept it as a result of corporate greed. A spokesman for JustGiving said: "JustGiving allows quick, transparent and secure fundraising when people are most in need. We are extremely proud of our world-leading platform, which has enabled our online community to support millions of people and causes around the world, including during major incidents. "We are always looking for ways to improve our platform and we are working with the Charity Commission and the Fundraising Regulator to ensure that our community can provide support whenever and wherever it is needed." A spokeswoman for the Department for Digital, Culture, Media and Sport said it was not yet able to confirm whether it had received the letter.